Having 3 Chihuahua’s is nothing short of a blessing! They’re all super loving and adorable to watch, and they are all so unique from each other it’s crazy. One likes nothing more than to sit up like a meerkat and wait for food to be dropped from our plates (Doesn’t happen) until they’re back in the kitchen. Another loves to play fetch even at 6am. And the little one loves to bury things…and rebury things…and then bury them some more! As it’s coming up to Christmas, I wanted to share some items that I’m planning on getting for my little fur babies and that I think any fur baby would absolutely adore! I’ve been looking at all sorts of little outdoor dens for my little babies, they adore being outside (especially the little one) and running around the grass like bullets! I always feel bad that they don’t have a little haven to crawl into when they want to be out in the open air but it’s cold or rainy. 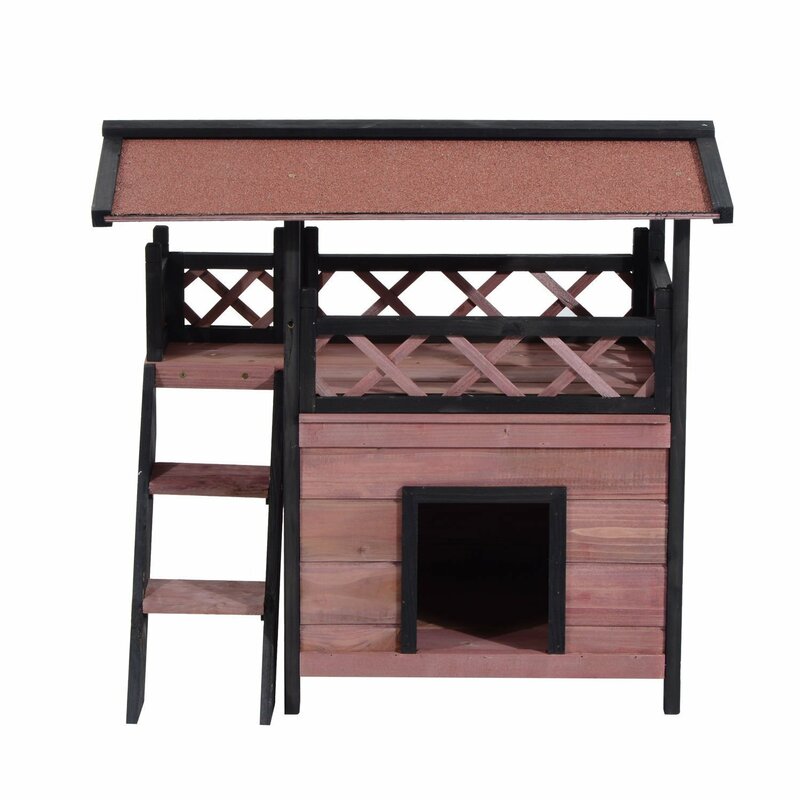 I found this cute little dog/cat house which seems perfect for little dogs like Chihuahua’s and I just love the little balcony with a roof alongside the little den area where I could put lots of cuddly blankets into for them to bury themselves in and enjoy the fresh air while being snug as a bug! This one is just one of the many similar designs that I found while browsing, I just picked it because it’s got a little pink touch which I adore and will probably settle on. You can find this particular dog house here on Amazon and was just under £60 when I took a look! If you browse for dog houses though you’ll find similar designs if this is something you’d like but would prefer an alternative design. Supporting smaller businesses is so important, these wonderful people put their heart and soul into creating wonderful pieces that are much more personal and special and deserve so much admiration. 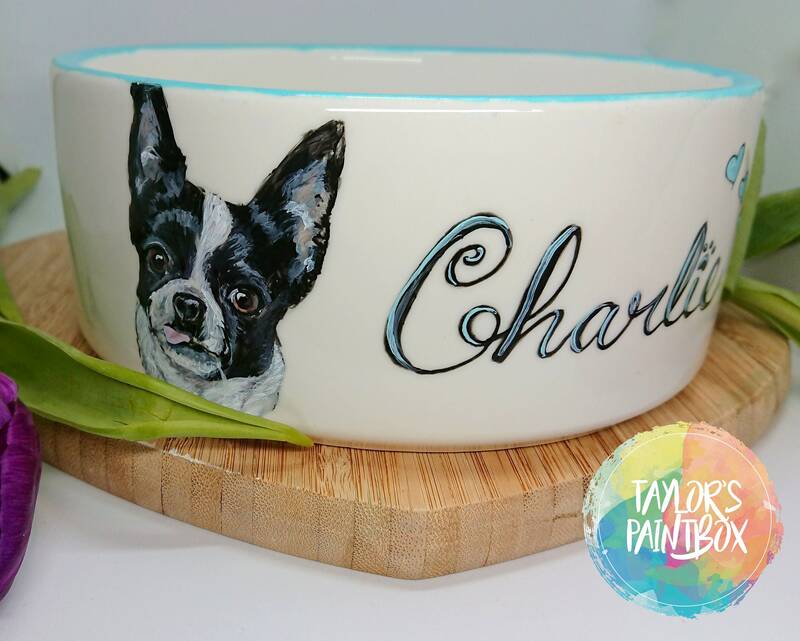 I came across this gorgeous personalised ceramic doggy bowl and it’s a serious must for any dog lover! They are hand painted with your pups name on as well as a wonderful portrait of your pup to go along with it! How adorable is that? You can find this wonderful and personal fur baby bowl here on Etsy by TaylorsPaintBox. Prices vary from £20 to £35 depending on the size you want and how many pets you wish to include in the design. You can ask for alternative colours for the rim of the bowl and even some cute little coloured hearts without extra charge to make it even more special! Anyone who knows me knows that I’m a huge harry potter geek and after going on Pottermore to find out what house I belong to, everything has been Hufflepuff and yellow in my shopping choices! So naturally, I want to share my love for it with my little pups. I found these lovely little collars on Etsy as well as several other designs that were all equally as gorgeous but I do love the house emblems on these! 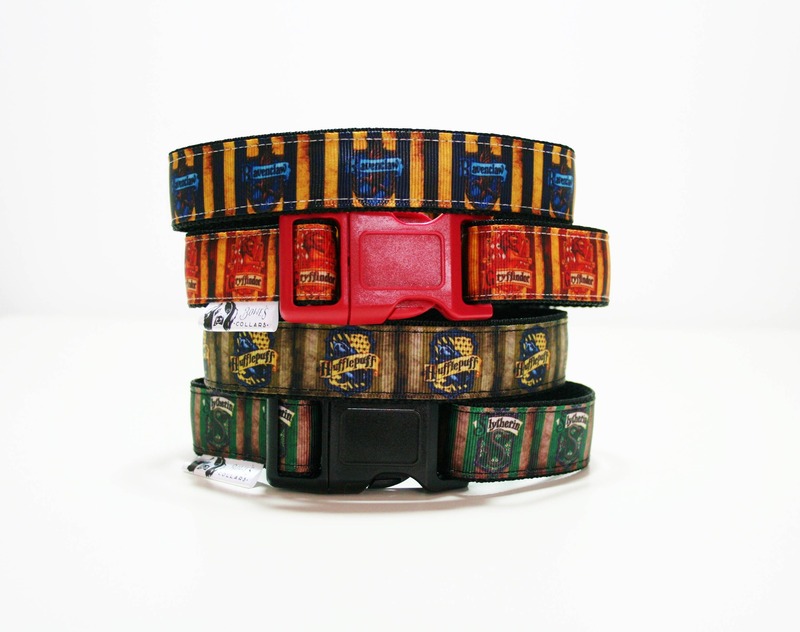 You can find these collars here on Etsy by BowesCollars. Prices vary from £10.49 to £28 depending on size and whether you want additions to go with it such as a matching lead or a bundle. They’re made with your dog’s size in mind so make sure to measure their neck in order to get the right fit for your furry friend! Speaking of collars, a cute tag is always a must to go alongside it! 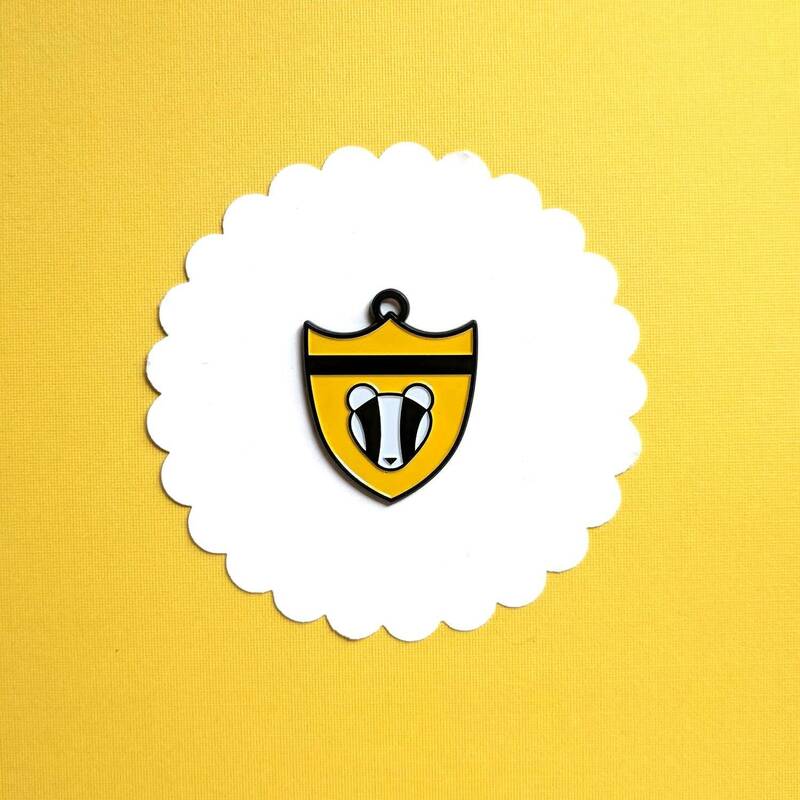 I found this adorable Hufflepuff tag on Etsy and am in love with the design! You can request the name of your doggy to be engraved on the back or simply take it to any engraving shop to get it done there! You can find this cute little tag here on Etsy by AshleyHayDesign. You can also find tags for Slytherin, Ravenclaw and Gryffindor in their shop as well as other nerdy themes like Pokemon and Sailor Moon. The price for this is £8.08 ! 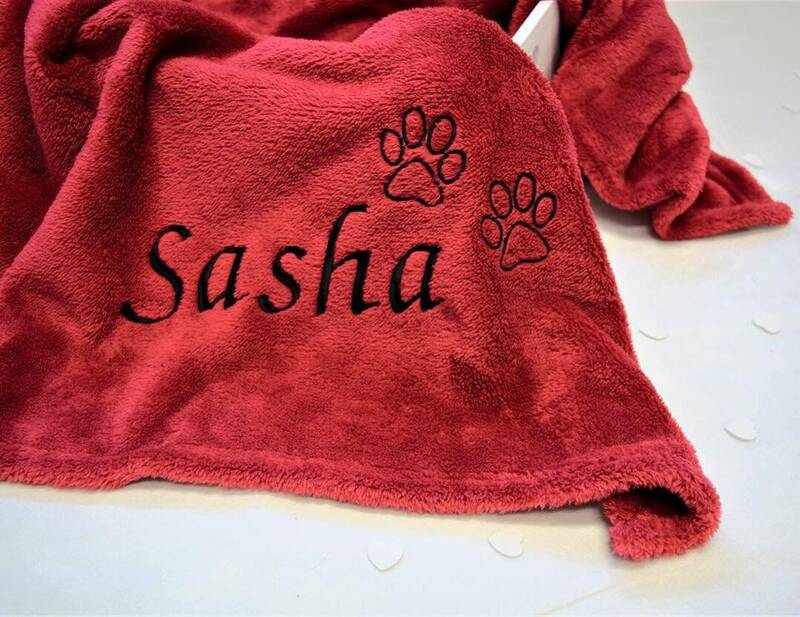 Finally, I wanted to get some personalised blankets since my pups love to bury themselves in them and be all warm and snug! I adored the look of these custom blankets found on Etsy (There’s a pattern here, I really enjoy buying from small businesses on Etsy!). The embroidered names and little paws look so cute and fancy and you can machine wash them which is always handy! You can pick from lots of different colours too! You can find these blankets here by TheYorkshirePetCo. The price for it is £25 ! What treats are you guys buying for your furry companions? Every year I get my Bailey (Border Collie mix) an stuffing-less toy and he manages to rip out both squeakers within minutes. I have to get him a new one every year because they always get grubby. He may be nine but he’s still young at heart! I love this! So many cute ideas. I am really excited about getting my husky mix a pulling harness so she can pull me in the snow or on my bike!